dopl3r.com - Memes - This made me happy. Mutts MONDAy TUESDAY WEONESD THORSD THE TODAyS THE DAY FRIDAY SATURDAy ANIM SHELTER KNEW IT! TODAYS) THE TODAyS Y THE DAy! This made me happy. Mutts MONDAy TUESDAY WEONESD THORSD THE TODAyS THE DAY FRIDAY SATURDAy ANIM SHELTER KNEW IT! 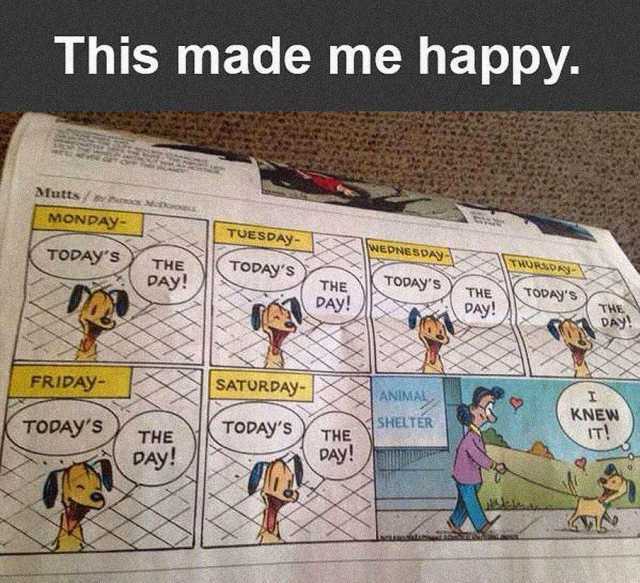 TODAYS) THE TODAyS Y THE DAy!